The Super Nintendo, one of the most iconic consoles of Japanese giant Nintendo, completed 25 years old this week. Meet some of the most striking moments of the console, since its launch with the acclaimed Super Mario World up to the amazing advances of games such as Donkey Kong Country and Star Fox. The console followed one of the traditions of Nintendo since the 8-bit Nintendo, a launch with a Mario game included in the console. Super Mario World was a perfect evolution of the popular formula of Super Mario Bros. 3, with novelties like the dinosaur Yoshi and a large map permanently, instead of divided by worlds. The game has become the most sold of the platform, with over 20,000,000 of units sold. 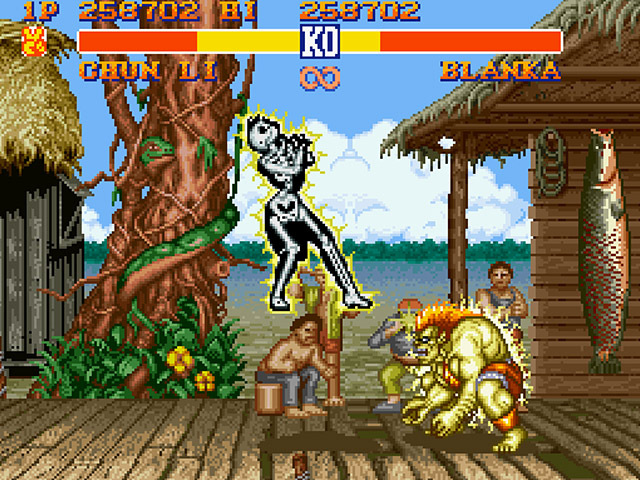 One of the biggest fevers on arcades, Street Fighter 2 was one of the games that made the players realize that they needed a new generation, because it was not possible to convert it to Nintendo 8 Bits. The conversion of the Super Nintendo was perfect and took the classic arcades straight to play at home, which at the time was almost unthinkable. The main competitor of Super Nintendo, Mega Drive, it took a little longer to receive the game and demanded an extra 6 control buttons. Today it is common to see games of mascots for all sides, especially in racing games, sports and fighters, but it was the plumber from Nintendo that started it all, even the Super Nintendo. 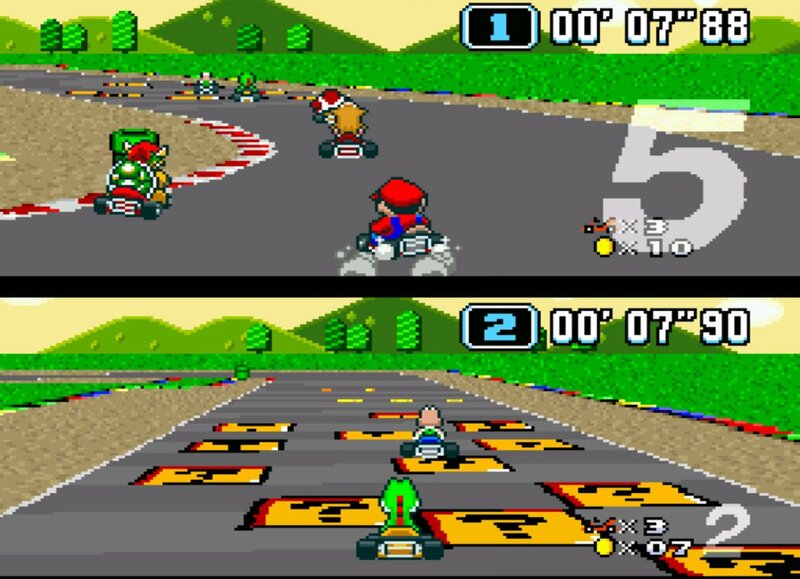 Super Mario Kart was a revolution for the time to introduce the genre to race under a new optic, more focused on fun. For the first time players had a game that rewarded not only the ability, but also luck, starring the friendlier face of the console. 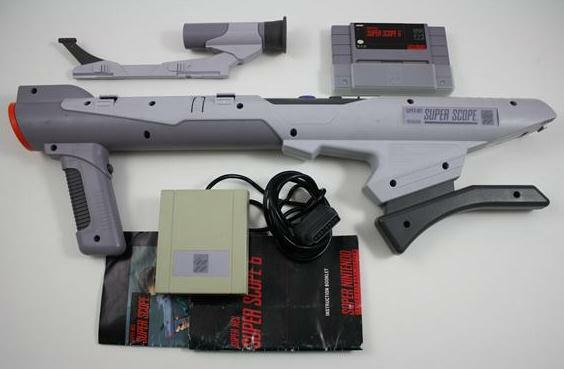 One of the biggest hits of the 8-bit Nintendo was the popular gun Zapper, which allowed shoot targets directly on TV. When Nintendo announced the Super Scope, a species of Bazooka for the Super Nintendo, there was a lot of expectation about it. The device even did what he promised, but he didn’t have so many games that worthwhile and not landed in the public’s taste. He received games for a while, and one of the most important was Yoshi’s Safari, 1993. A big Nintendo 8-bit series, the format of The Legend of Zelda till then was variable – the first game had a bird’s-eye view, while the second side view. The franchise began to establish its roots just when The Legend of Zelda: A Link to the Past was released, and that seed would eventually result to one of the most acclaimed games of all time, The Legend of Zelda: Ocarina of Time on the Nintendo 64. Super Nintendo graphics were amazing when the console has been released, but like all the consoles of the time, in 2D. Imagine the surprise when Star Fox was released and, with the help of the famous Super FX chip, did the small console be capable of producing 3D games, even if rudimentary. Star Fox was an exquisite game and not only displayed 3D, but also used to create a new series for Nintendo. In second year, the Super Nintendo won an extremely nostalgic package with Super Mario all-stars. Remakes and remastering today are common, but this was the first contact that players of the time had with old favorite classic versions. The package featured remakes of the 8-bit Nintendo games: Super Mario Bros., Super Mario Bros. 2 (u.s. version) and Super Mario Bros. 3, as well as Super Mario: The Lost Levels, a harder version of Super Mario Bros. that had been released in Japan as Super Mario Bros. 2. 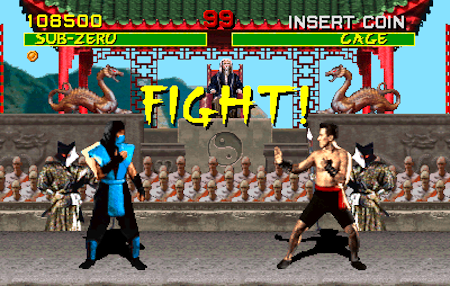 During the dispute between the Super Nintendo and the Mega Drive, Nintendo tried to combat the image that your video games were too childish, and Mortal Kombat emerged at that time. With the extreme violence at the time, many thought the game would not be released on a Nintendo platform due by the content and the company’s history. However, Mortal Kombat came to the Super Nintendo with a good cast, although no blood, and proved that something had changed in the company. The Super Nintendo lost space for the Mega Drive for a while, thanks to the aggressive marketing of competitor Sega, however a game turned the tables. Donkey Kong Country, with its incredible graphics pre-rendered (created in 3D and then converted to 2D), started a fever about the return of the classic Nintendo character that took the Super Nintendo to an overwhelming victory. The series also secured two sequences: Donkey Kong Country 2: Diddy’s Kong Quest and Donkey Kong Country 3: Dixie Kong’s Double Trouble. While Nintendo opened the doors to Mortal Kombat and the realistic graphics of Donkey Kong Country, the sequel to Super Mario World took the Super Nintendo for a completely different direction. Super Mario World 2: Yoshi’s Island put the dinosaur Yoshi as protagonist and told a story of when Mario was still a baby. 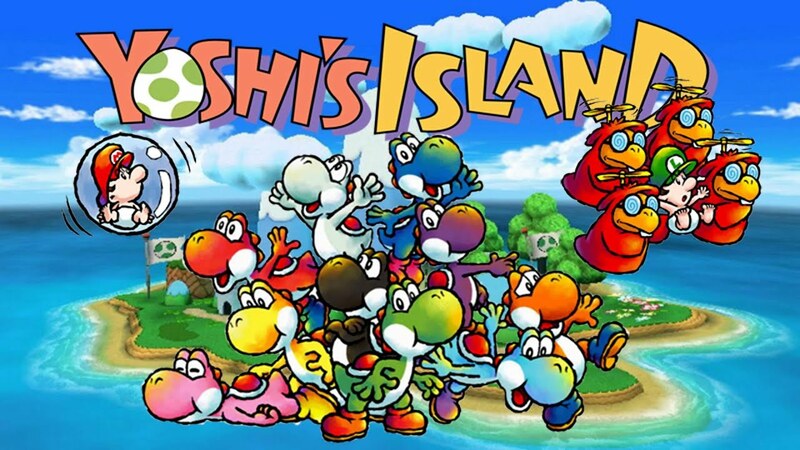 With graphics that resembled a child’s drawing, filled with vibrant colors, Yoshi’s Island hiding incredibly deep and complex gameplay, the pinnacle of the genre of platform in generation. Previous articleFitbit Flex Sleep Mode – How To Put Fitbit Flex In Sleep Mode?